Is there an addon that will allow me change of adress/bookmark/active cards bar? 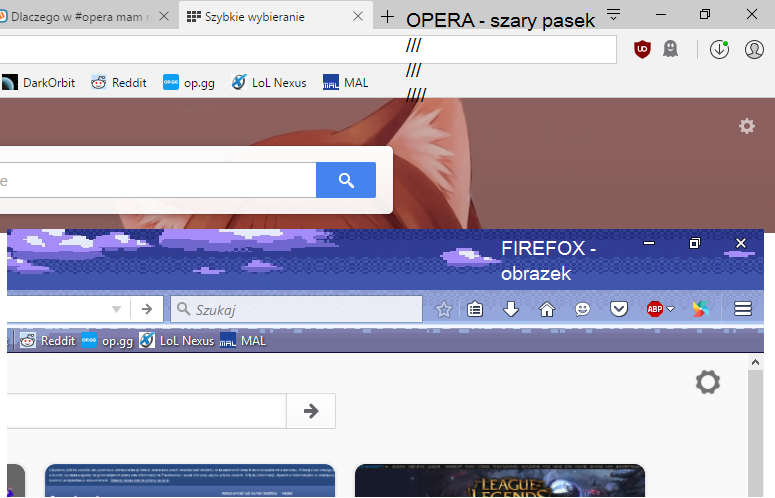 Firefox: I got a cool background for this. Is something like this achieveable in Opera? One reason Opera is faster than Chrome is the simpler interface, if they skinned it that would require time from other processes. While Presto (Opera before version 14) was all about configurability, I don't expect them to go that way with the new Opera.